Attorney Joe Bernard will be attending the 2018 IACP Annual Conference on Drugs, Alcohol, and Impaired Driving in Nashville, Tennessee from August 13-15. Attorney Joe Bernard will be in the Peabody District Court Friday, August 24, 2018, for a hearing in front of Judge Robert Brennan for Commonwealth v. Ananias regarding the proposed agreement between Attorney Bernard and the district attorneys. On June 13, 2018, Attorney Bernard will be meeting with the other lead attorneys in Commonwealth v. Ananias to discuss the current status of the case. For the month of June alone, Attorney Bernard has scheduled nine (9) cases scheduled for trial. To Attorney Bernard, all cases are equally as important and gives citizens the chance to fight for their innocence. On March 1, 2018, Attorney Bernard will be at the Renaissance Boston Waterfront Hotel for their Leaders in the Law event as an honoree. This event will be presented by Massachusetts Lawyers Weekly, Rhode Island Lawyers Weekly, and New England In-House. Click here to learn more about the event. 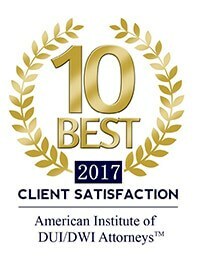 On March 16, 2018, Attorney Bernard will be attending the MACDL Post-Conviction Seminar located in Boston, Massachusetts. Click here to learn more about this seminar. On March 26, 2018, Attorney Bernard will again be in the Concord District Court at 2:00 p.m. for Commonwealth v. Ananias. A better determination of the discovery will occur on this day. In February 2017, Attorney Bernard was in the Concord District Court on February 15, 2018 at 2:00 p.m. for Commonwealth v. Ananias. At this hearing, a scheduling order was developed for a hearing on sanctions. Janine Arizu, Dr. Andrea Stoltz, Thomas Workman, and Dr. Joseph Anderson will be providing testimony when the hearing for sanctions is held. In July 2017, Attorney Bernard was in Washington, DC at the National Association of Drug Court Professionals (NADCP) Conference featuring Vet Court Con. The NADCP annually hosts the world's the largest conference on treatment courts and criminal justice reform. With over 30 tracks and hundreds of sessions, this conference provides the training attorneys need on critical topics affecting their practice. On Thursday, May 25, 2017, at the Concord District Court Attorney Joseph D. Bernard and Attorney Anne Goldbach discussed Judge Brennan's ruling regarding the challenges to the reliability of the breathalyzer machine used in Massachusetts. Attorney Bernard discussed what was learned from the many experts who testified throughout the hearings challenging the breathalyzer machine. He further discussed the recent developments in the consolidated cases while covering other avenues of attack that attorneys can use to discredit the test results. In February 2017, Judge Brennan ruled some of the tests results obtained by the Draeger 9510 breathalyzer as presumptively excluded from evidence at trial. The Commonwealth continues to litigate their ability to introduce the results of those tests. To learn more about information that may affect your OUI case and how Judge Brennan's decision affects you contact Attorney Joseph D. Bernard 413-731-9995.
seminar for understanding breath testing at MCLE Conference Center, 10 Winter Place, via Winter Street. On May 11, 2017, Attorney Bernard spoke at the Greater Newburyport Bar Association Breathalyzer Training seminar.at the Newburyport Five Cents Savings Bank. Attorney Bernard discussed how to interpret Judge Brennan's decision Commonwealth v. Ananias, how to move forward with motions, and how defendants outside the suggested class can still benefit from the decision. Attorney Bernard and Attorney Anne C. Goldbach answered questions and gave more information. Please note that on May 1, 2017, there was a correction as to the factual findings of the Memorandum of Decision issued by Judge Brennan, specifically correcting the date of deployment of the Alcotest 9510 breathalyzer to MA law enforcement agencies beginning June 2011 (and NOT June 2012). On April 21, 2017, from 1:00 p.m. to 2:00 p.m. at the Springfield District Court. Attorney Joseph D. Bernard, Anne C. Goldbach, and Thomas Workman discussed how you can interpret Judge Brennan's decision, how to move forward with motions, and how defendants outside the suggested class may still benefit from the decision. 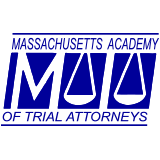 This program was Co-Sponsored by the Massachusetts Association of Criminal Defense Lawyers (MACDL). On April 13, 2017, from 2:00 p.m. to 4:00 p.m. in the Northampton District Court, Courtroom #3, Attorney Bernard accompanied by forensic expert Thomas Workman presented to the Hampshire County Bar Association an explanation of the Daubert/Lanagin decision by Judge Brennan. This was the first in a series of presentations around the Commonwealth. Issues discussed involved the policy and protocol utilized by the Office of Alcohol Testing (OAT) and how that can create defenses. Further, local issues involving the Northampton Police Department and breast test cases were discussed. How the Northampton Police Department deals with breath test cases, the Northampton Police Department utilization of videos and the police department's protocol regarding citizens rights pertaining to operating under the influence drunk driving cases. The presentation also focused on breath test issues with the Northampton Police Department and possible defenses with regards to the Draeger Alcotest 9510 machine. Throughout the presentation, we discussed the towns of Northampton, Amherst, Hadley, South Hadley, Easthampton, Ware, Granby, Belchertown, Huntington, Middlefield, Southampton, Goshen, Williamsburg, Cummington, Pelham, Chesterfield, Plainfield, Hatfield, and Westhampton.